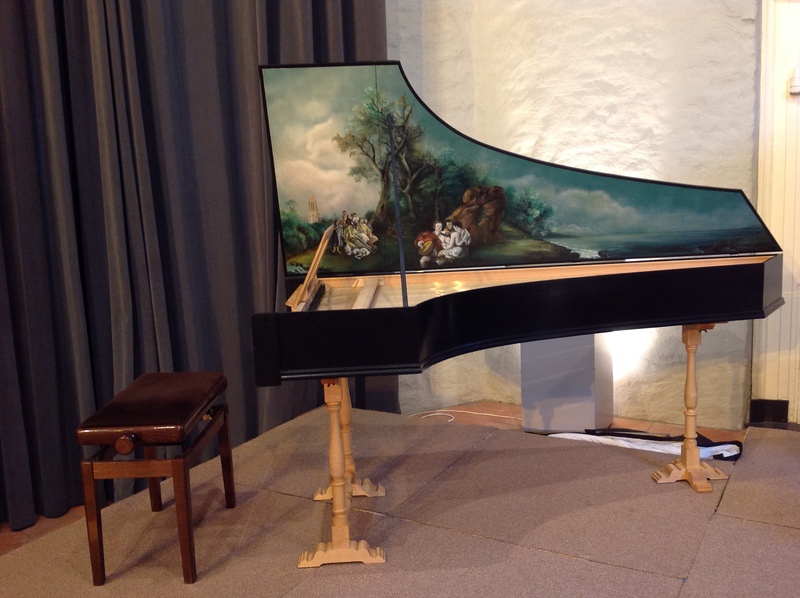 In 2011 Martin Butter made a new harpsichord in early Venetian style for Hugo Bakker. It has two 8′-stops (B contra – d”’) and is transposable between A = 415 Hz and A = 440 Hz. The painting of the lid is of Rianne Hartman. You can hear the instrument below. The instrument is for hire together with a player for solo recitals and basso continuo. Mail for more information to info@hugobakker.org.